Recently, after a series of changes in the interface, query and displaying of Google’s AdSense advertising network, followed by google recently launched a new ad format called AdSense Direct (now euphemistically promoted directly through the AdSense product). Google today launched AdSense Direct, a new tool for publishers who – as the name implies – want to sell ads directly and aren’t large enough to make dealing with the complexities of DoubleClick for Publishersworth their while. This puts it into direct competition with iSocket, BuySellAds and other services that make it easier for smaller publishers to sell ads directly. This also marks Google’s first foray into this area of the advertising business for small publishers. AdSense, after all, has always been about programmatically choosing ads to display on a given site based on the content on the site and Google’s knowledge of what a specific reader is likely interested in. With AdSense Direct, which is currently only available in the U.S., publishers can make deals with individual advertisers – no matter whether the publisher is on AdWords or not. 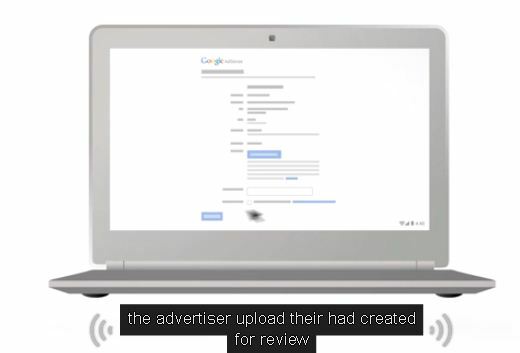 Publishers can simply give potential advertisers a link to their AdSense Direct page and all the publishers have to do is upload their creative and pay for the ad. Google takes a 15 percent cut from all AdSense Direct transactions. All invoicing and billing is handled through Google Wallet. There are no upper or lower limits for the number of impressions served through one of these campaigns, by the way. Advertisers simply buy the space for a given day or longer time period, though campaigns can’t last longer than 90 days. As a site becomes more popular, direct ad deals tend to be far more lucrative than just running basic AdSense ads. Google recommends a price when publishers set up a new campaign and the company says its research has shown that publishers can generally charge about 2.5x the price of a standard contextually targeted ad.